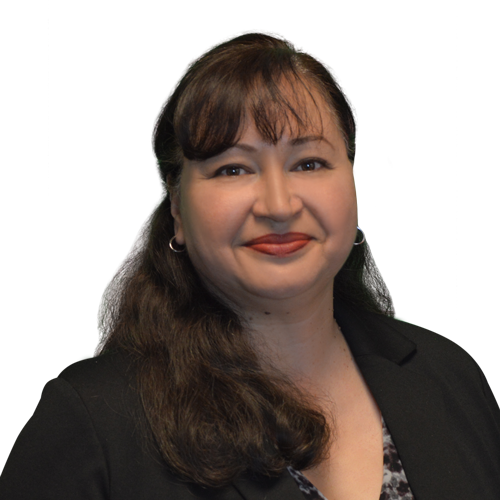 Elaine Cruz is a certified Paralegal who has been working in the legal field for over 20 years. Her emphasis is on litigation support for Federal and State Court matters and Trademark prosecution. Elaine’s litigation experience and vast knowledge of the “ins and outs” of the court system and the Trademark Trial and Appeal Board (TTAB) enable her to efficiently support our attorneys from onset to post-trial. Elaine gained the discipline to fastidiously maintain records and track details for complex cases in Construction and Bankruptcy law, and has a special compassion and ability to interact with clients on a personal level that comes from here background in Family and Elder Law. Elaine enjoys helping people by easing their mind through the litigation of a civil injustice, by helping them seek relief from overwhelming financial burdens, or by helping them save their hard-earned life savings for their children through asset preservation. Now, Elaine enjoys being part of the future through her work in Intellectual Property. Intellectual Property is about “starting something” — a new idea, a new company, a new brand, a new design, a new piece of art, a new work of literature. Elaine joined the firm in 2007 and quickly became a vital member of the team.